Can you believe I intended to write this post earlier at the beginning of summer? Between finding a new home, losing loved ones, committing to therapy, trying to squeeze in a few staycations, and picking up some long projects with clients, my head has been barely above water! 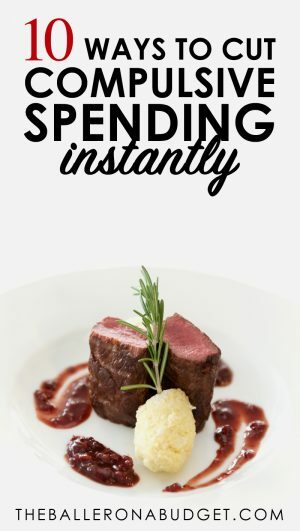 Originally, this post was supposed to be published earlier in the summer immediately after Pinterest switched from displaying your followers to your monthly visitors on your profile. Unlike Instagram, Pinterest doesn’t thrive on the number of committed followers you have – your success relies on how many views you have. During the switch, there were 2 reactions: some were horrified at how abysmal their visitors were in comparison to their followers, while the other half, myself included, were excited and proud. 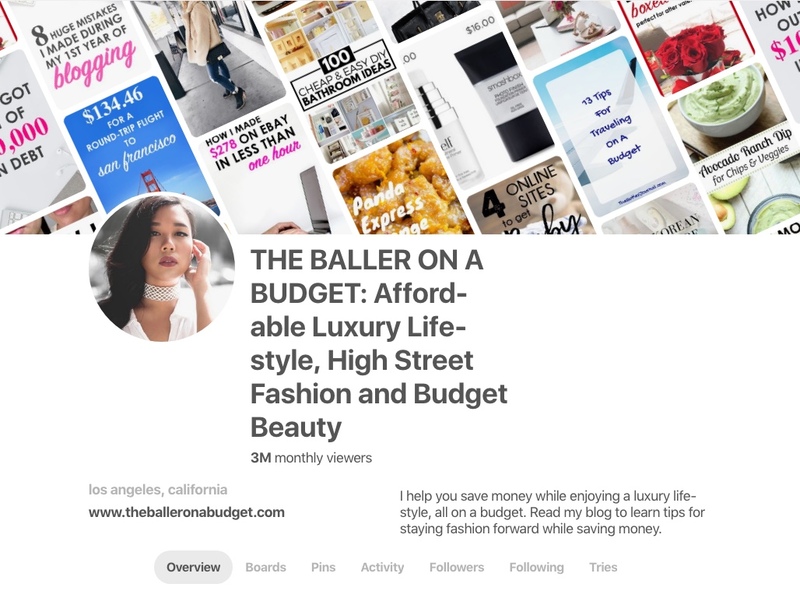 Then, I only had about 2,000-something followers on my Pinterest (which paled in comparison to my 36,000+ on my Instagram), so this was a huge relief to see that it switched from my sad 2k followers to a whopping 3m viewers. Yes, three million. Of course, between now and then, Pinterest’s changes have seemed to settle down, and coupled with my inactivity over the past few months of dealing with grief and change, my stats have dropped down to 1.7m. Still, I’ll take it. Because it’s going back up day by day. 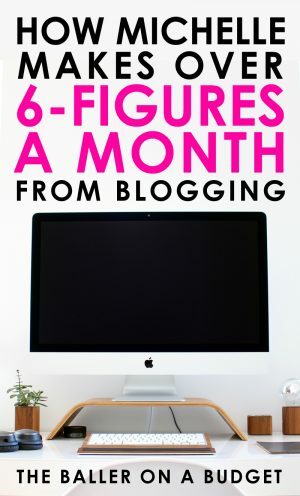 A lot of influencers in my circle – whether they have less or even more Instagram followers than me – always seem to ask how I’m able to make a full-time income from blogging. The answer: I don’t focus on Instagram. 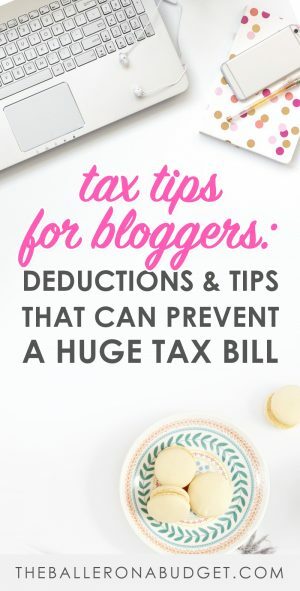 I focus on creating blog posts and promoting them on Pinterest. Although Pinterest may seem like a simple platform, there are a number of elusive strategies to bring your pinning to the next level so that it can grow your blog. Voila, hello payday! 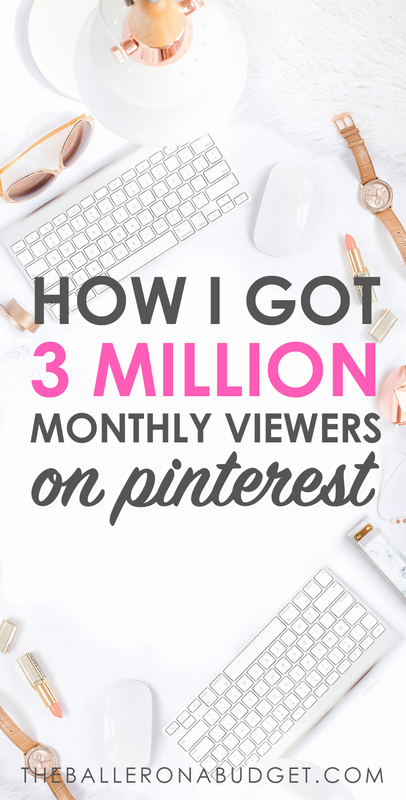 So stop wasting your time on Instagram and check out my Pinterest tips so you can hit your 1 million viewers too. While you’re at it, make sure to download your free copy of THE BLOGGER BLUEPRINT to learn how to design and create a blog from scratch. You’ll also learn how to publish amazing blog posts that generate tons of traffic and build your audience across several social media platforms with! Everything starts with a plan. To start, how often do you intend to pin? What type of content will you be pinning? Will you be pinning just photos or graphics with text that initiates a call-to-action? Do your research: follow your favorite bloggers who are active on Pinterest and analyze their behavior on the platform. Are they pinning every hour? Do they have pin descriptions and board descriptions? What kind of content are they pinning? Formulate a plan of attack and write it down. 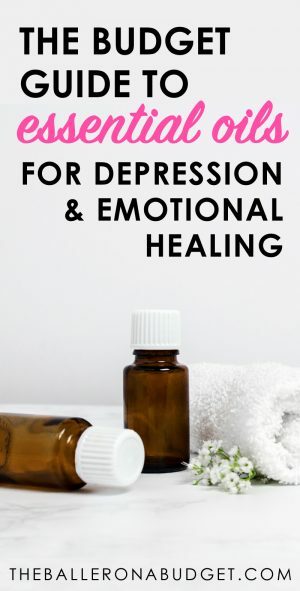 I love creating mood boards on Pinterest, and I’m sure some of you do too. But think about your own behavior with the pretty inspo pictures you fill your boards up with: do you ever click them and visit the website? More often than not, you will never click through. 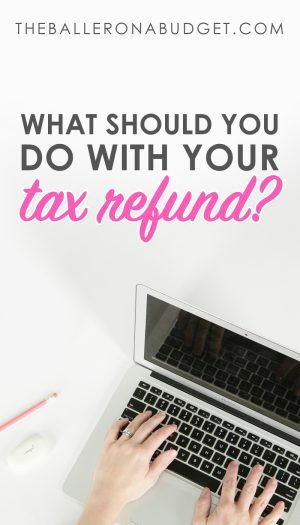 So it’s better in the long run to create graphics along with text that piques the reader’s curiosity and triggers them to click through to your blog. Here are 3 popular pins of mine. Did you wind up clicking any? Something I preach so much about in my course The Blogger Bible is to apply WIIFM, or “What’s In It For Me?” With all of the information available online, we only have so much time in the day to read every single thing we see on Pinterest. And as self-serving creatures, it only seems right to use that time to read articles that benefit us, right? So when applying WIIFM to your pin graphics, make sure that the text you choose will benefit the reader. If you’re writing a blog post on kitchen essentials for new homeowners, try the phrase “The Top 10 Items You Need In Your Kitchen” or “10 Things Every New Homeowner Needs in Their Kitchen.” By far, both titles resonate better than “My 10 Favorite Kitchen Items” – this phrase is more focused on the writer versus the reader, and we need to write in such a way that benefits the reader. Design-wise, your pins should be vertical and not square or horizontal. Vertical pins tend to take up more space on the screen (especially on phones) and gives the pin a better chance to catch the attention of a prospective visitor. Also keep in mind that your pin needs to be clear, quick and easy to read. You can also include either your own images or royalty-free images you can get for free on websites like Pexels or Unsplash. You can make pin graphics on Canva, which is free-to-use and web-based (no software installation needed), or you can use Photoshop if you have the program and are well-versed in design. Now you’ve got yourself a cute pin. But what if it fails miserably? A poor-performing pin doesn’t mean your blog post was bad – it could just be that the pin wasn’t enticing enough. I always recommend to try making 2 or 3 different pin graphics per post and then monitoring how they do. Sometimes, the images or phrases you use might yield more click-throughs than the other pin. So you never know until you try! The left 2 graphics are very similar but use different phrasing and emphasis on certain words. The right 2 feature both different phrasing and different images but both have the same layout and white background. The pins don’t have to be dramatically different from the others. You can create 3 different versions of the same pin and see which one works best. You’ll also find that over time your design style might change, so you can always go back to old posts and create newer and updated graphics for them and see how the new ones perform compared to the previous ones. The left graphic is the first one I ever made for my top-performing post. The right was created almost one year later and looks much more legible and eye-catching. If you’re trying to get your pins to stand out, branding them is the key to getting recognized. I can count tons of times where I saw pins that were designed the same way and finally clicked-through to the website and discovered that these pins were all from the same blog. When your pins are successfully branded, you can achieve this same effect and your pins will become memorable to a user as they continue to stumble upon them on Pinterest. I frequently review items that look similar to designer purses and shoes, so my pins for these posts use the same format and design. There are so many ways you can brand your pins. You can use the same unique color palette, the same font combinations, or the same layout. Most easily, you can create a distinct logo with your blog name on it and include it at the top or bottom of all of your pins so that people know what website the pin comes from. You can also utilize the same color palette for your posts. For these pins, I used a white background with black or grey text and pink for the keywords. To increase your chances of being seen on Pinterest, it’s important that you pin on a regular basis. Some people post several times a day, while some (like me) pin once every hour of the day. Honestly, hourly pinning is not practical, especially when you’re manually pinning! I remember I tried to set an alarm to go off every hour to pin something. It was intrusive to my daily life and just flat-out burdensome. There are many schedulers out there, but I only recommend Tailwind. 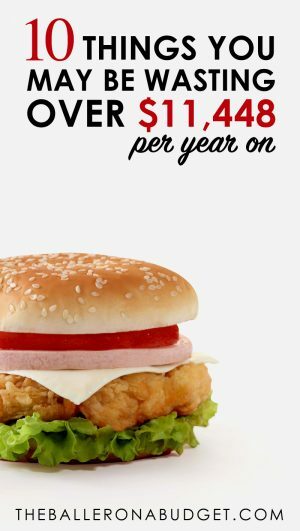 It starts at $10/month and is very well worth the money if you truly want to make money from your blog. Tailwind saves you so much time and also rewards you with increased traffic to your blog much more easily than trying to drive traffic from other platforms that are follower-dependent such as Instagram. If you’re like me and don’t have a lot of Pinterest followers, then it would be silly to pin the same pins over and over to your own boards for the same 50 people to see. The goal is to get your pins seen by as many fresh pairs of eyes as you can! You can do this by searching for group boards that are accepting contributors. Send a polite Pinterest message to the board’s owner or if they leave an email address in the board description, shoot them an email and ask to join the board. With group boards, the rule is to pin other people’s pins from that board and they will pin yours. You’ll have your pins in front of their audiences, which gives you more chances for exposure. Alternatively, you can also join Tailwind Tribes. Although it is an additional paid feature, it is well worth the money and I find it is much more organized than Pinterest’s group boards. With Tribes, you can track the activity of every member in the group and see how many of their own pins they are sharing to the board versus how many pins from other contributors they are re-pinning. It’s a foolproof way to see if anyone isn’t playing by the rules. And an additional bonus: you can see if your pins are being shared by other members and determine whether or not a Tribe is worth staying in. The single most important thing! Pinterest isn’t an effective marketing tool unless you’re pinning regularly. This doesn’t mean once daily – this means several times a day! I personally have my Tailwind set to pin something every hour. Now, you’re probably thinking: I don’t even have enough blog posts to make one pin per hour for 24 hours! The beauty of Pinterest is that you can still pin other people’s pins so long as they’re related to your niche. For me, I pin fashion posts, beauty tips, DIY projects and more that aren’t my own. This allows you to pin relevant content without having to constantly pin your own pins over and over again and make people annoyed. You can start by pinning a ratio of 80% other people’s content and 20% yours. As you publish more blog posts you can gradually increase the percentage of pins that are yours. 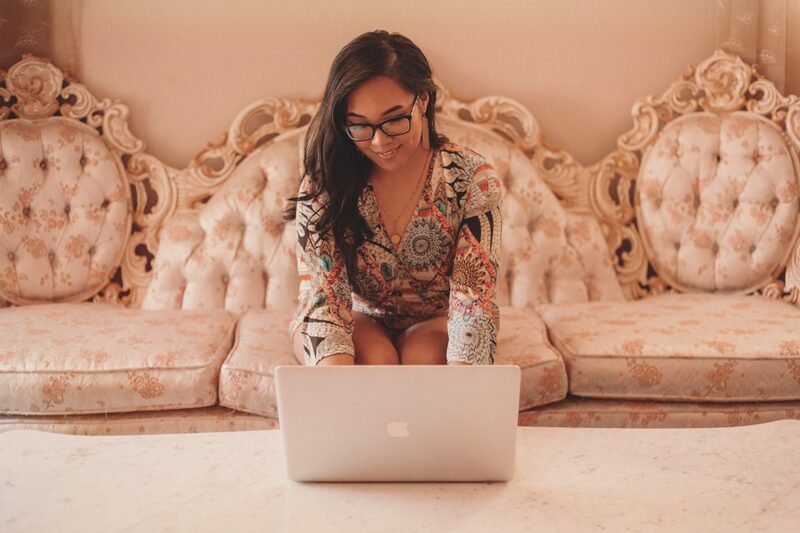 Whether you’re an Instagram influencer or a content-based blogger, my course The Blogger Bible features in-depth long-term strategies you can use to build your online presence and make a full-time income from it. 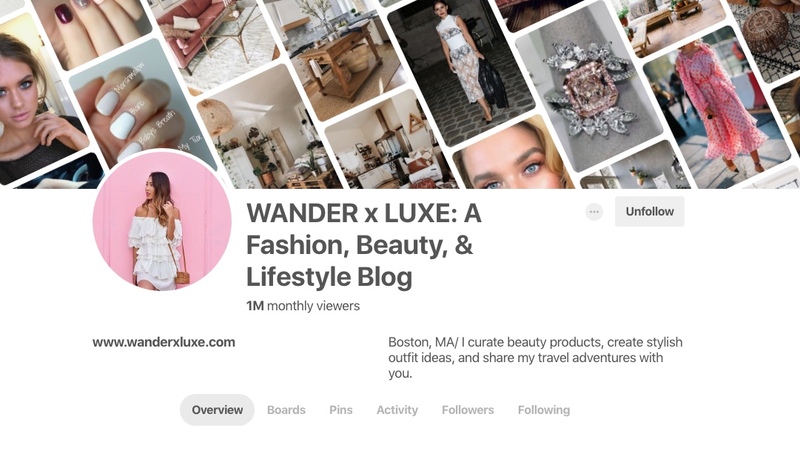 One of my students Wynn at Wanderxluxe has actually incorporated the strategies from The Blogger Bible to her fashion blog and effortlessly hit 1 million monthly Pinterest viewers as well! FYI, just like me, she only spends one active day a month on Pinterest to achieve this. Click here to enroll in the course. 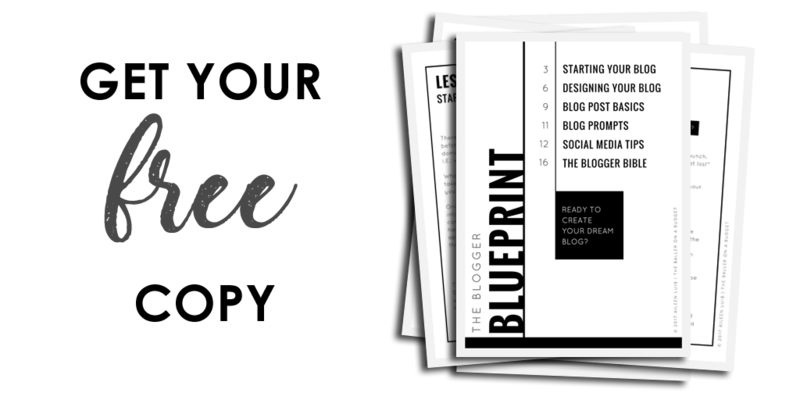 And don’t forget to download your free copy of THE BLOGGER BLUEPRINT! 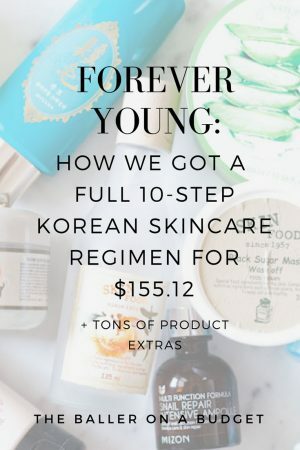 I’d love to hear your Pinterest goals! Leave a comment below and don’t forget to subscribe to my newsletter for more blogging tips and marketing tricks. 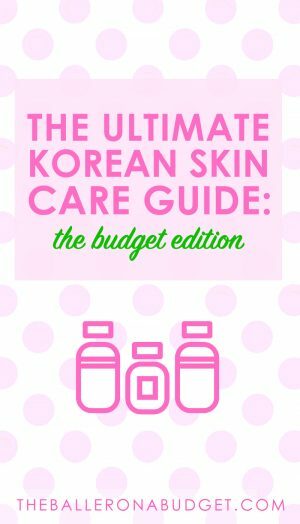 What an eye opening article, I never thought about creating multiple pin graphics for each post, but now it seems like a no brainer. Thank you for the great info! Glad this helped you, Keri!